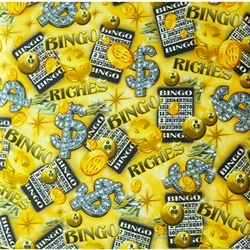 Do your thing, bring your bling; add bingo riches to your lingo, then shout out I have Bingo! Live it up with this 10-pocket dauber bag that displays your riches. This dauber bag comes with a complementary matching pouch. Daubers purchased seperately.